Image: YouTube/ Karen Zoid Somizi features in the remake. Fifty of Mzansi's most talented artists, including Somizi, Abigail Kubeka, Dorothy Masuka and Judith Sephuma have added their voice to a tribute song for veteran Johnny Clegg. 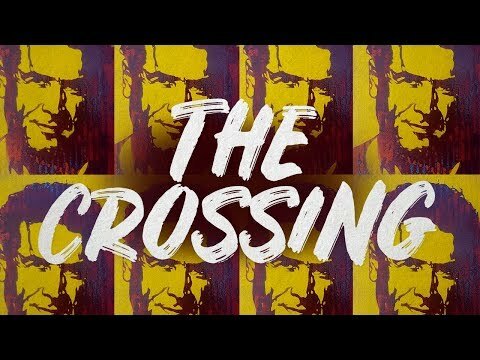 It was announced on Wednesday that the artists had collaborated on a remake of Johnny's iconic single The Crossing to celebrate his life and work. The fund is managed by The Click Foundation who will distribute funds to their various centers across South Africa. Karen Zoid, Abigail Kubeka, Andre Venter, Andy Mac, Anna Davel, Ard Matthews, Arno Carstens, Bobby van Jaarsveld, Corlea, Craig Hinds, Craig Lucas, Dan Patlansky, Dave Matthews, David Kramer, Dorothy Masuka, Elvis Blue, Emo Adams, Francois van Coke, Franja du Plessis, Gloria Bosman, Jason Hartman, Jesse Clegg , Jimmy Nevis, Juanita du Plessis, Judith Sephuma, Kahn Morbee, Karlien van Jaarsveld, Kurt Darren, Laudo Liebenberg, Lira, Majozi, Mike Rutherford, Paige Mac, Patricia Lewis, Peter Gabriel, Ross Learmonth, Somizi, Stompie Ernesta Manana, Thandeka Campher, Thembeka Mnguni, Tresor Riziki, Vicky Sampson, Victor Masondo, Vusi Mahlasela, Yati Khumalo, Jack Parow, and Zolani Mahola. Speaking to TshisaLIVE, Lira said that she was honoured to be part of such a project. "I am very honoured to pay tribute to a South African great. He is one of our biggest superstars and it was amazing to be part of something that honours him like this. The mood during recording was awesome. There was a respect and camaraderie among us. A real unity." Social media was buzzing with hype around the song. ??????? tears of joy!!! Thank you for honoring our legend Johnny Clegg??????? & Most Rewarding Project This Year. What A Line Up I Must Say !!! This song will get you right in them "Africa is born in you" feels! Johnny's name topped the Twitter trends list at number two as fans flooded the platform with messages of relief that the news was about the song and not another tragedy.